Hi guys! 🙂Have you ever tried red spinach? First time I tried it in Dubai. Unfortunately, I never seen it in Russia before. It has mild earthy and green flavor, very similar to green spinach. 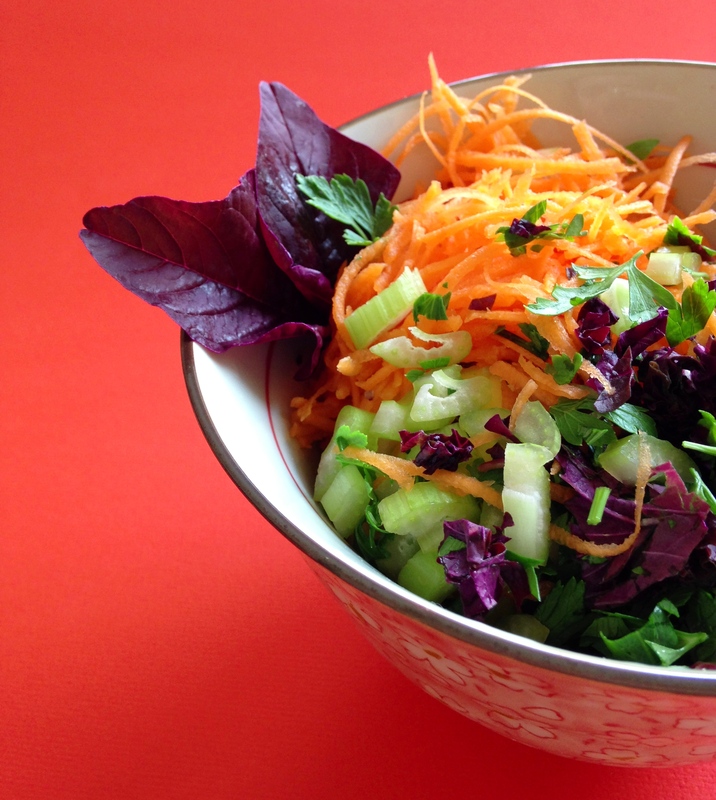 I use leaves in salads or garnish, adding nice color to any dish! 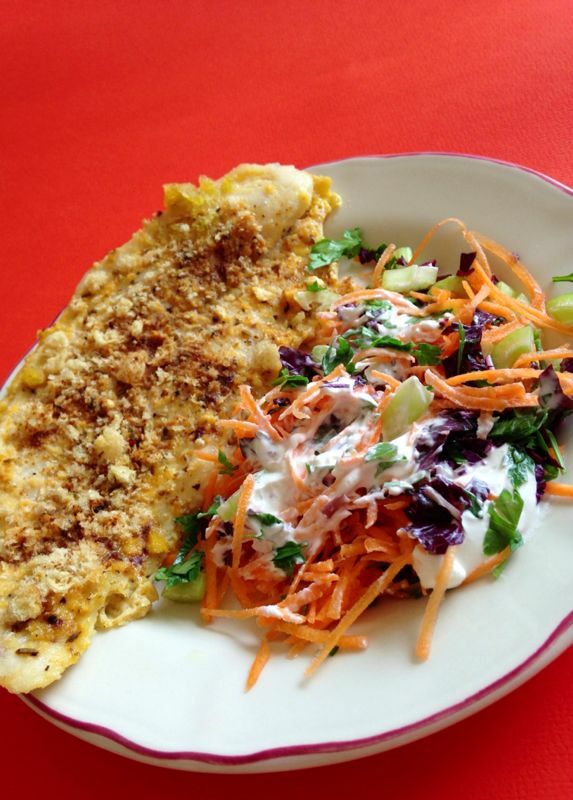 Today for the lunch is baked crusted creme dory fillet and carrot-spinach salad. Preheat oven to 190C (370F). Pat the fillet dry with paper towel. In a bowl combine the crust ingredients. Dip the fish fillet in beaten eggs, then in crust. Meanwhile mix salad ingredients together gently and coat with sour cream. Serve the hot crusted fish and the carrot salad together. Jul17July 17, 2013 • By milkandbun • This entry was posted in Fish and Seafood, Healthy choice, Salads and tagged blog, Blogging, carrot, cooking, dinner, fish, food, food photo, healthy, healthy eating, lunch, My Life, recipe, recipes, Russian recipe, salad, spinach. Bookmark the permalink. This dish looks tasty! I don’t think I ever had red spinach before, will need to give it a try now!